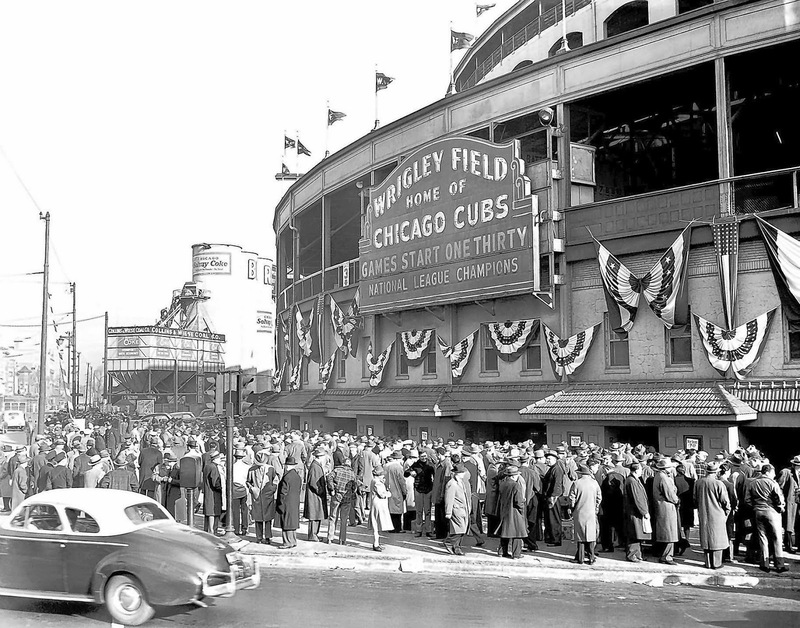 Chicago's venerable baseball park, Wrigley Field, home of the National League's Chicago Cubs, turns 100 on Wednesday. The City of Chicago, particularly the North Side (the South Side has their own team -- the White Sox) will be celebrating in style. Wrigley Field is not simply a place to watch baseball -- it is the spirit and soul of the great North Side of Chicago. 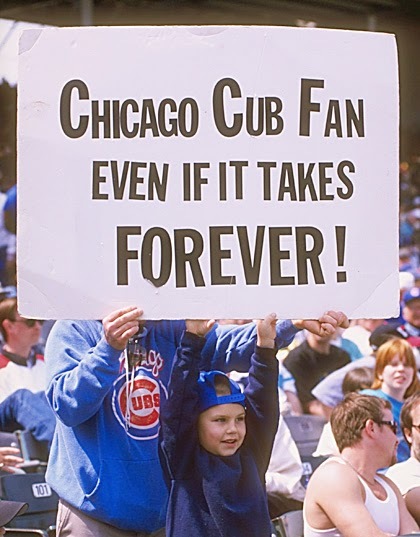 The love of the Cubs by their fans is unmatched anywhere by any professional baseball team in the USA. What explains this? Well, there is no delicate way of putting this. The Chicago Cubs are professional sport's biggest losers. You have to love them! The last time the Chicago Clubs won a World Series championship was in 1908. That is an incredible losing span of 105 years. The last time they won the National League (the World Series is a playoff between the National and American Leagues) was in 1945, which is equally depressing if you are a Cubs fan. 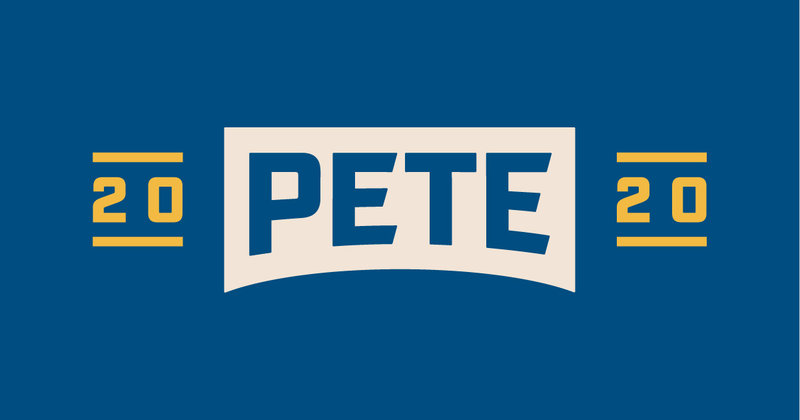 This is the longest drought of any major sports championship played in the United States. 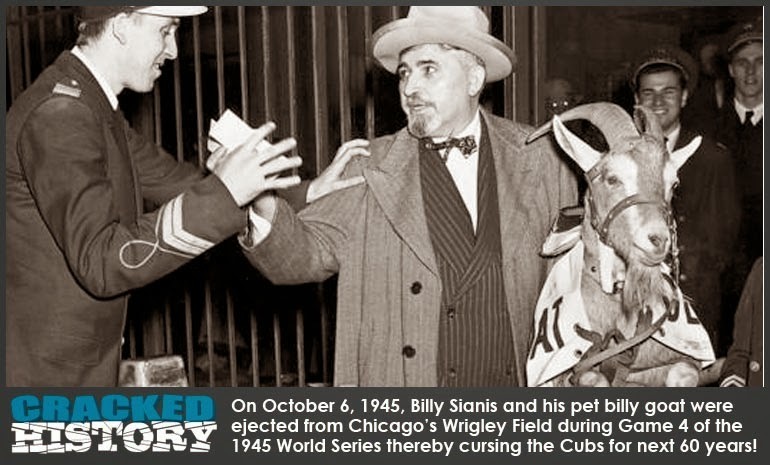 In fact (more about this in later), many feel the Chicago Cubs have been cursed by the owner of a stinking Billy Goat. How else can anyone explain all this bad luck! 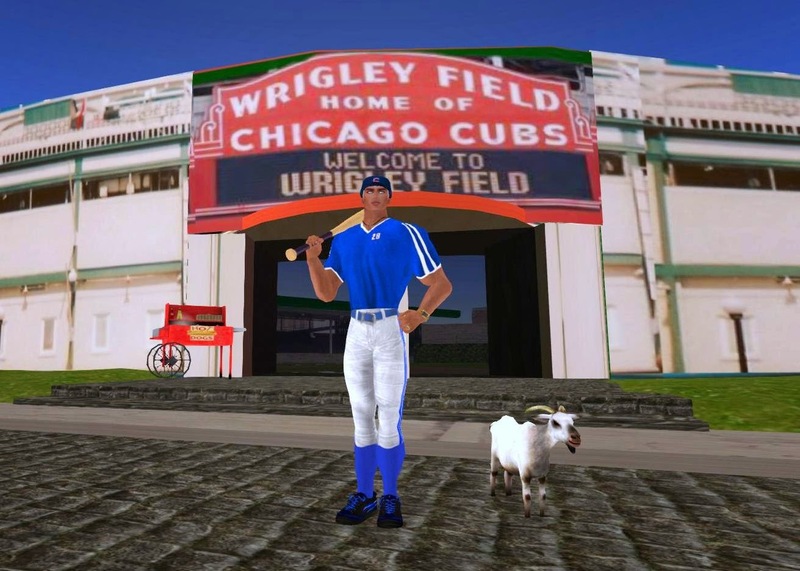 You can actually visit Wrigley Field in Second Life in 1920's Chicago, a very well done roleplay area full of gangsters, clubs, old movie theaters, and lots of roleplay action - one of the best urban developments in Second Life. You can read about it over at the Second Life Destination Guide. Now, lets get back to that curse. By the way, everything that I will now write is true. How did the curse of the Billy Goat begin? We have to go back to October, 1945, the last time the Chicago Cubs won the National League and played in a World Series- against the Detroit Tigers- in a best of 7 series. This incident happened during game 4. The Cubs were up 2 games - 1 for Detroit. Not only that, the first three games were played on Detroit's home field. All the Cubs had to do was split the final 4 games at Wrigley Field, where they had a big homefield advantage. They were favored to win. 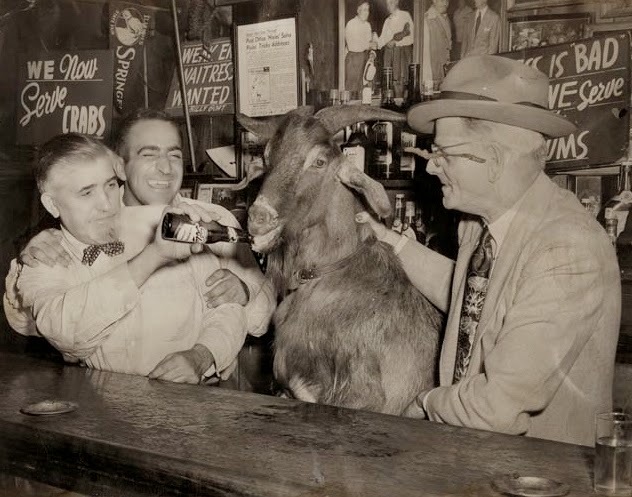 A well known Chicago Tavern owner, Billy Sianis, who originally came from Greece, brought his pet Billy Goat (named Murphy) to games with him as a good-luck charm and mascot for the team. Murphy certainly looked spiffy in his mascot outfit. Both Billy Sianis and Murphy had paid season tickets, and Murphy generally behaved himself at games. However, Murphy did not smell that good that day. Some fans sitting near Murphy complained that his odor was unbearable. Billy Sianis was told to either remove Murphy or leave the ballpark. Billy Sianis was outraged! You do not insult a greek immigrant's beloved pet goat, particularly if the goat also had a paid seat! Billy declared, "Them Cubs, they ain't gonna win no more!" which has been interpreted to mean that there would never be another World Series played, or National League Championship won at Wrigley Field. Detroit went on to win that Series, by taking 3 out of the next 4 games in Chicago. Chicago collapsed when they should have won. A superstition you say? Then how can you explain this? In 1969, the Cubs were way ahead and were set to win the National League and head off to the World Series. 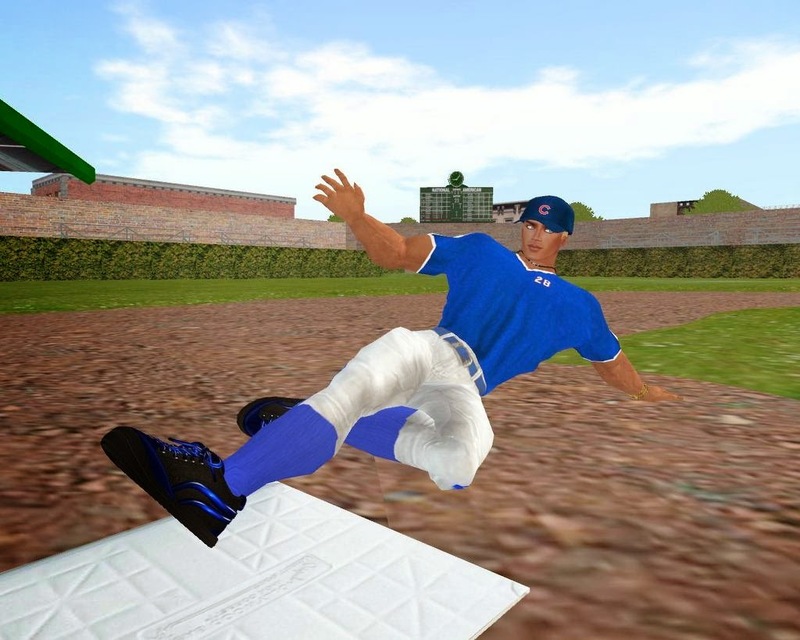 However, the "Miracle" New York Mets, a 7 year old expansion team, started to play well and challenge the Cubs lead. On September 9, the Cubs traveled to New York to play the Mets. A strange thing then happened. A black cat appeared out of nowhere and circled the Cubs batter, who then lost his concentration and looked confused. 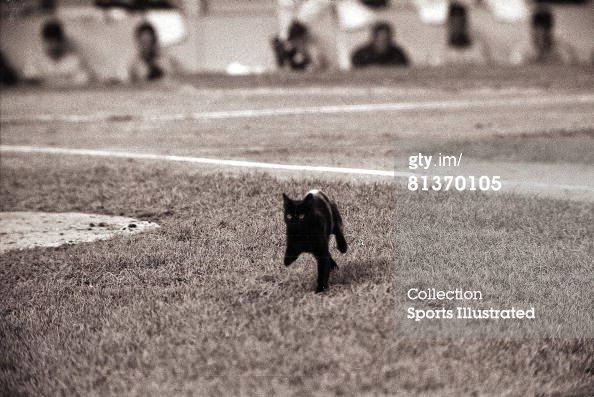 The cat then walked in front of the team dugout staring down the players and freaking them out. 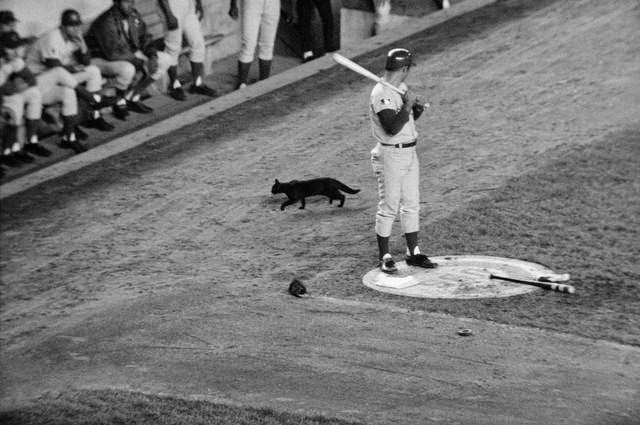 Black cats, the sign of bad luck, do not appear out of nowhere at baseball games. The cat then disappeared, and was never seen again. The Cubs ended up going 8-17 in September, missing the playoffs, suffering one of the greatest collapses in the history of the sport. The Mets went on to win the National League and the World Series. 2003 - The curse continues. Are you still not convinced? Then read about what happened with Steve Bartman. in 2003, the Cubs were up 3 games to 2 in Chicago against the Florida Marlins and were 5 outs away from going to the World Series. 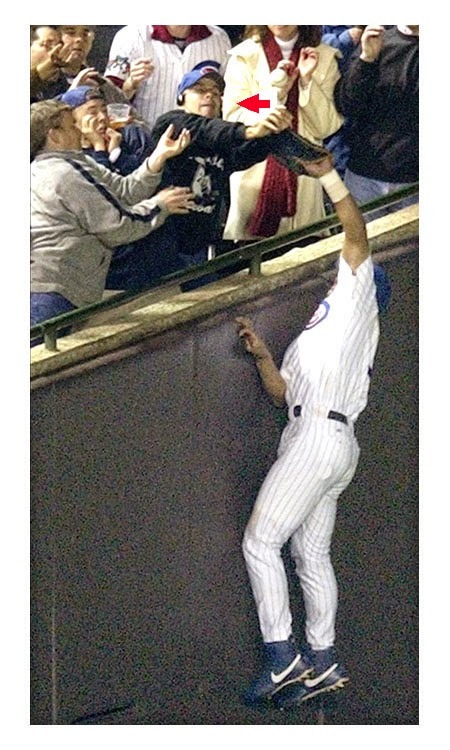 However, a diehard Chicago Cubs fan, Steve Bartman, disrupted a catch by knocking a foul ball back into play. It was a disaster, and the Cubs went on to lose. It was a freak accident. Steve Bartman had to be escorted out of the ballpark for his own safety and has never returned to Wrigley Field since. Manny attempts to lift the curse over the past 60 years have been made, all to no avail. 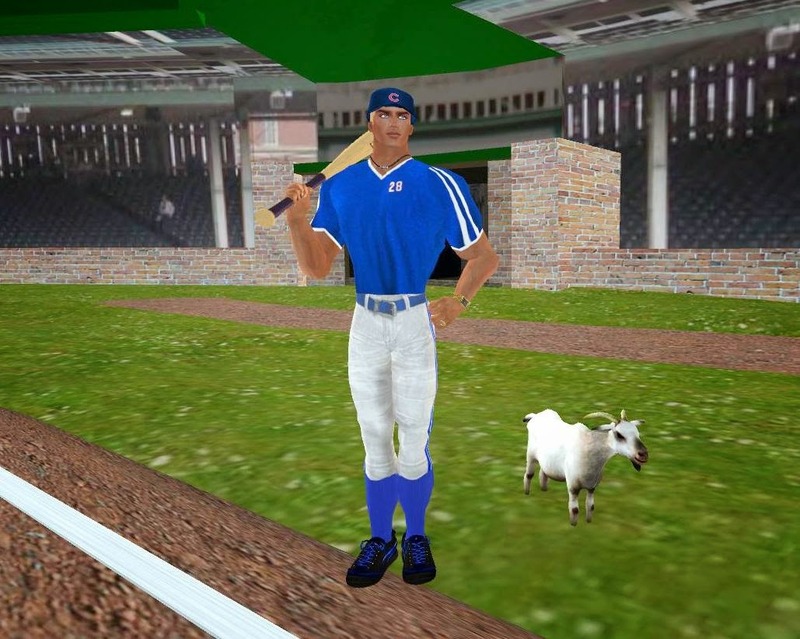 Various goats have been welcome into Wrigley Field, and various witches and warlocks have tried to break it. Severed goat heads are sometimes found at the stadium, but nothing will work! A goat charity has even been established to provide working goats to poor farmers and ensure goat welfare, but even this will not work. However, the curse how now met its match. 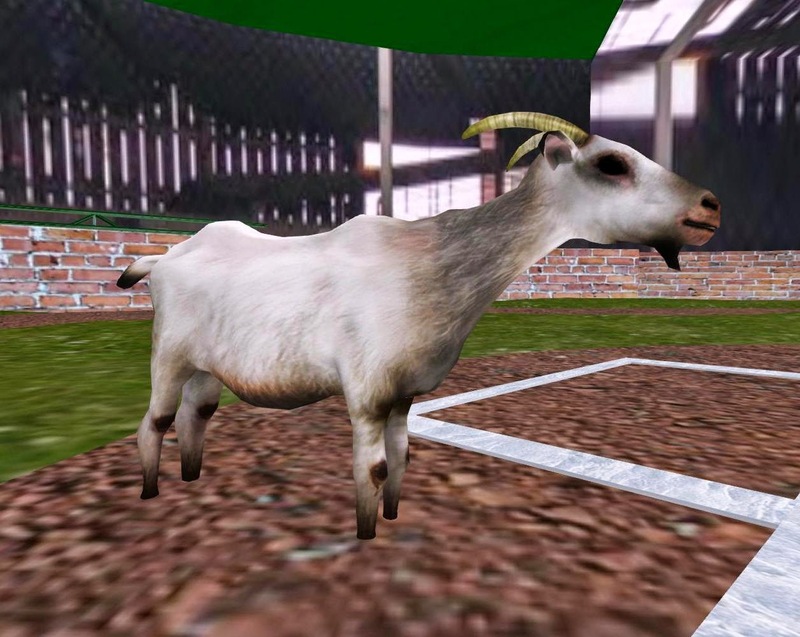 Meet Lenny, the Second Life satanic goat. Lenny is the devil incarnate. He spews the talk of Satan -- who actually is responsible for the current curse. He is accompanied by Ryce Skytower who is the embodiment of the "Spirit of the Chicago Cubs". This dynamic duo will break the curse tomorrow. Lenny feels bad that the Cubs have lost for all these years. After all, Satan does have a heart. 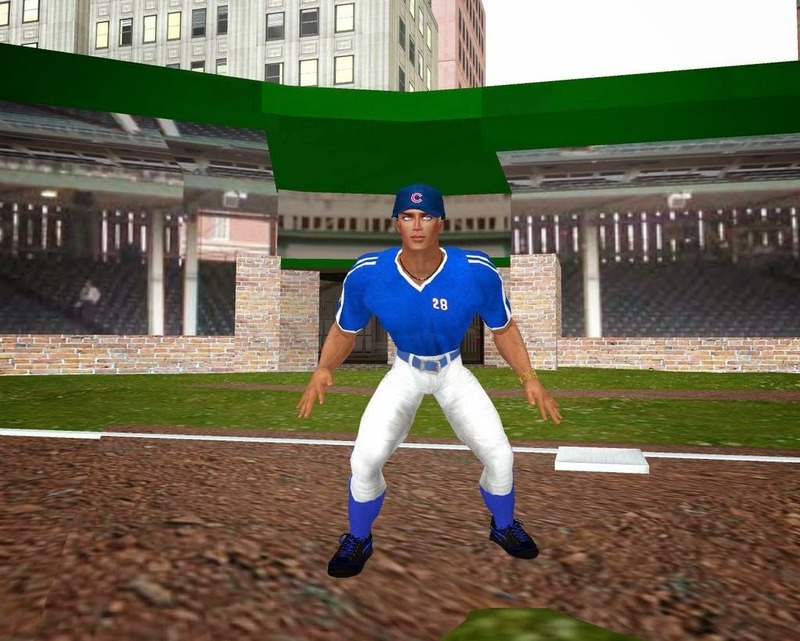 Lenny has agreed to lift the curse and under one condition -- that the song "Take Me Out to the Ball Game" is played at virtual Wrigley Field tomorrow- sung by famous (deceased) Chicago Cubs games broadcaster Harry Caray during the lifting ceremony. Ryce and I agreed of course. You can hear the song below sung at Wrigley Field. So there you have it! The curse will be lifted. 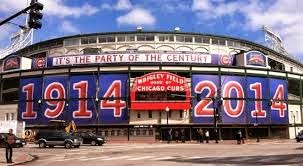 It may take one year or 100, but the Cubs will win a series at Wrigley Field! You can count on it. After all, who can't trust a Satanic Goat who is a Harry Caray fan?